In 2015 we sent a lynx girl from Vormsi island to forests in North-East Poland to save the lynx population there. People from Poland informed us that this lynx has successfully had a litter. Lynx hairs found from the forest were used to get DNA samples and it showed that it truly is a lynx and its litter from Estonia. Lynxes who are living in Estonia form a joint Baltic population with lynxes from North-East Poland. In Poland the Baltic population is low and their habitat discontinuous. At the same time in North-East Poland there are still a lot of big forest areas which are suitable for lynxes, but their natural reach to these forests is unlikely because of the low population and different barriers. One of those areas is Piska and Napiwodzko-Ramucka forests in Masuria where lynxes disappeared mostly due to overhunting in the 1980s. After that only some individuals have been seen there and the progeny in this area is missing. In 2004 WWF initiated lynx resettlement to Masurian forests and at the beginning they used lynxes who were grown up in nature-like artificial conditions. 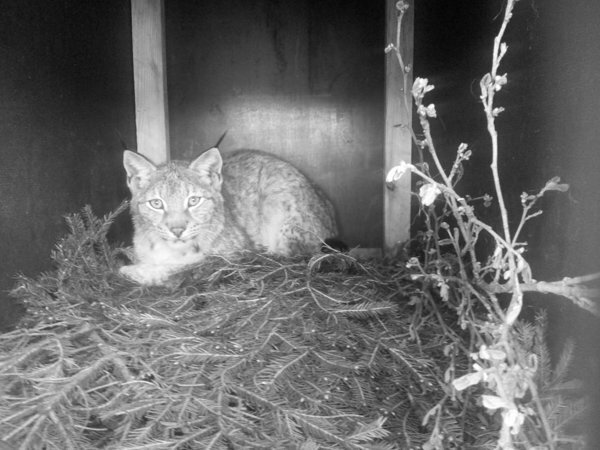 Six lynxes from Estonia were resettled in 2012-2013 and in 2015.